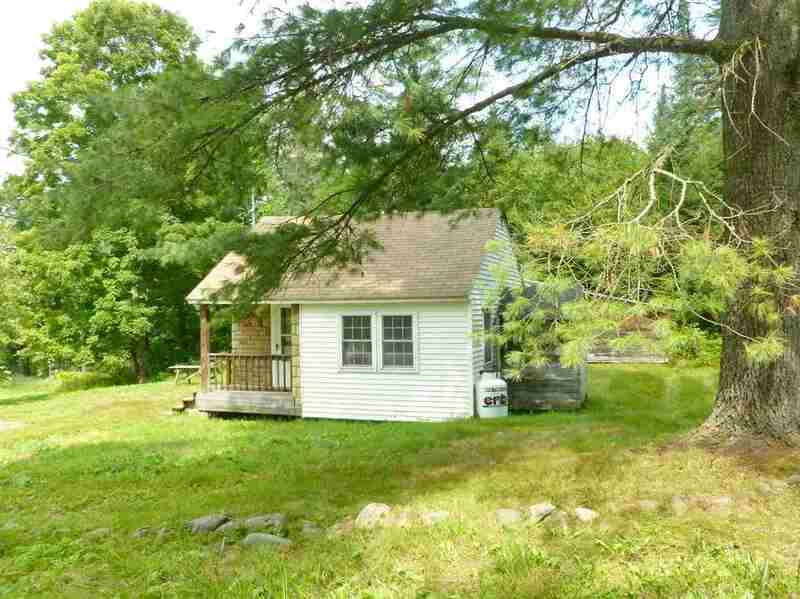 3.07+- acres with recently &apos;spruced up&apos; Ranch style Cottage. Beautiful, westerly facing front lawn to catch the dramatic sunsets and towering pines in the back along the stream. Over 500 feet of frontage along "Cow Brook". Adorable 2 bedroom and one bath with a pellet stove in the living room to supplement the hot air heating system. Easy one level living with washer and dryer on the same level. Shed and work shop space off to the the &apos;brook side&apos; of the land. Lots of storage space in the out buildings. Less than 3 miles from I -93, Littleton Hospital and Littleton&apos;s Award Winning Main Street. Have that &apos;out in the country feel&apos; with the convenience of being close to town.